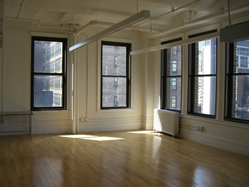 Chelsea Loft for Lease | West 27th Street - Call for Price / 3000 SF. 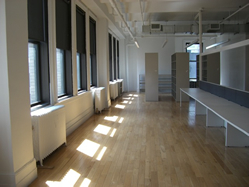 This office loft is conveniently located near 34th Street / in a Garment District area centric position. The following listing is in move-in ready condition, the landlord is currently accepting leases as short as 3 to 5 years. This space contains brand new polished wood floors and has been fully refurbished to a high commercial standard; perfect for a traditional business office or trendy showroom. 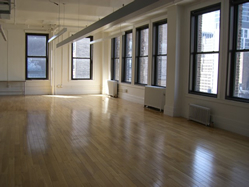 The loft also enjoys high exposed beamed ceilings, large windows, and load bearing floors. This loft is flexible in layout / use - the space herein consisting of an open work-area, a private office, pantry area, and two restrooms. 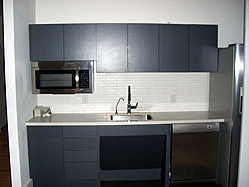 This listing's greatest asset is its white-box like ascetic, with fresh paint, new floors, and the renovation work done help to make this a real turn-key ready space which will save you time and money. Furthermore, the building property itself has been recently renovated with a NEW lobby with followup renovations schedule for the halls / common areas early next year.